Despite its rustic charm and appearance, Orcas Island enjoys a fairly high standard of living. A diverse selection of modern services makes this possible and both residents and visitors can find almost anything they might need for managing their day to day life, or embarking on more long-term projects. Some of these companies have been in business for decades and have a great deal of experience and wisdom in applying their skills to the unique challenges of island life. Construction services, landscaping, and in-home installation options have become quite plentiful with new homes constantly coming up on Orcas’ beautiful open properties. Building and finishing a home is always a tenuous process, but local experts are more than capable of seeing any project through to the finish. Numerous services are available for finished homes and properties as well to keep vacation homes maintained during owner absence, and support retirees that are unable to keep up with the demands of island living. CLICK HERE for more Automotive Services on Orcas Island. CLICK HERE for Construction Services on Orcas Island. CLICK HERE for more Medical Services on Orcas Island. 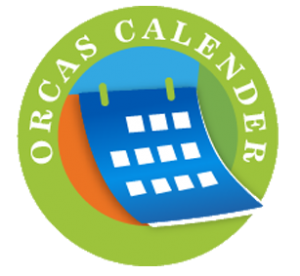 CLICK HERE for more Non-profit Services on Orcas Island. CLICK HERE for more Tech Services on Orcas Island. CLICK HERE for more Transportation Services on Orcas Island. Internet access by the hour, by the day or for a lifetime! Stop by and check our surf shop Monday thru Friday till 5:30, some Saturdays; call for details! Computer repair, web site development, GET CONNECTED! The Hall, located on beautiful Madrona Point in Eastsound, has been a natural community gathering place since it was built in 1891. The Hall is host to a variety of classes, dances, wedding receptions, art fairs, fundraisers, birthday parties and community events. The mission of Kaleidoscope is to provide safe, affordable, high-quality, consistent childcare and preschool while supporting Orcas Island families! At Orcas 24/7 we offer a suite of services for the off and on-island vacation rental home owner. If all you require is a 24/7 on-island contact, we can accommodate you. If you need full service property management, including the creation and management of your rental listing on Airbnb and/or VRBO, we can help. We can also manage all your reservations, guest communications, and taxes. We also offer cleaning services, garbage service, and emergency on-call handyman services to make sure your rental is always ready for guests Call or email us and let us know your needs and we will build a customized level of service that provides just what you want and nothing more. Service you can trust; water you can depend on. Water is a precious gift and among our most vital resources. EWUA has the awesome responsibility of delivering safe, high quality water to our community. It is a responsibility we proudly embrace. Gordy's Garage of Eastsound, WA (previously A-1 Autoworks), is one of the island's leading domestic and import car and truck repair specialist. Located in Gordy's historic landmark garage, we have over 18 years of auto repair experience. You can always count on our ASE-certified master technicians to provide our clients the best in quality auto and truck repair. All our work is guaranteed! At Blooming Mind Media we provide affordable website design to fit the needs of any size business. We take time to work with our clients in order to provide the look and feel our clients are looking for. Our websites are clean, free of clutter, easy to navigate and optimized for search engines so your customers can find you easily. We specialize in shipping artwork and wall art, but we also ship all kinds of items for many merchants and organizations, as well as individuals, on the island. If you don't want to pack and ship it, give us a call. Whether you're looking for complete energy independence for your home or business, or simply want to reduce your consumption of conventional power, we can help create a reliable source of safe, clean, environmentally-friendly solar energy for your specific needs. CIEE is a non-profit organization designated by the U.S. Department of State to sponsor international students for the J-1 Visa. Established in 1947, CIEE is a world leader in international exchange services. The Work & Travel USA program was designed to help U.S. companies meet their seasonal staffing needs, while enabling international students to experience the U.S. firsthand, as both employees and tourists. Professional Income Tax and Accounting Services. A full-service printing house. Typesetting, copy prep, dark room, printing, collating, folding, bindery, bulk mailing. Contact our office for real estate, land use, construction law, bankruptcy, foreclosures and loan work-outs. Brand new facility & equipment. Self-serve laundry or use the wash & fold drop off service. Located .5 mile east of Eastsound on the corner of Terrill Beach and Crescent Beach Rd. Providing new residential and remodel construction on Orcas Island. The Islands' Sounder was founded in 1964 by Al and Nickee Magnuson as The Orcas Sounder. It later became The Orcas Island Booster; the Magnusons named it The Islands' Sounder in 1974. It was a free tabloid that, after 1979, was distributed to every mail address in San Juan County. Ted and Kay Grossman bought the Sounder in November 1985 and converted it into a broadsheet with countywide paid circulation. The Grossmans sold the Sounder in 1994 to Sound Publishing Inc., which is based in Poulsbo, WA. 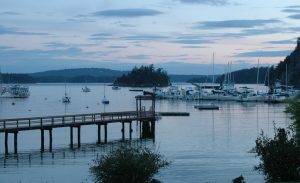 Sound Publishing added a Friday Harbor edition of the Sounder and expanded the newspaper's coverage of San Juan Island. When Sound Publishing purchased the Friday Harbor-based Journal of the San Juan Islands, the Sounder returned to its Orcas Island roots, although it continues to serve the entire county. The Islands' Sounder also publishes islandssounder.com, an online news site devoted to coverage of Orcas Island and the surrounding area. Designward Inc. provides architectural and interior design services for new construction and renovation. We are dedicated to doing the best possible job we can for our clients. Whether doing it the "old way" or using a newer product or technology, we pay careful attention to the way everything goes together and make sure that it's as good as it can be. Whether we design it or it's designed by another architect we scrutinize every detail to ensure quality. We realize that building a house is one of the largest investments, both financially and emotionally, that you're likely to make. We want that experience "from start to finish" to be enjoyable, fulfilling and ultimately rewarding. At Armando Nunes Media, we specialize in friendly and efficient Website Development and Social Media Management; ranging from Facebook, Twitter, business and personal Email Correspondence, Linkedin and much, much more. Our goal is to make your venture into the internet world as easy, painless, and effective as possible! Offering internet, wifi, ebooks and audiobooks, and a comprehensive collection. Rock Island Media has over 20 years of experience crafting videos for some of the biggest brands in the world. From national and regional product launches, to corporate promotional videos, to riveting documentaries - we've done it. We bring the latest editing, graphics and camera technology to the table, and blend it with something you can't get in a box. Our fresh creative style. The result is a cinematic approach to video that will inspire your customers and build your business. p e r c h design is a residential interior design studio servicing clients in the San Juan Islands. With offices on Orcas Island and in Seattle, p e r c h can offer the ease of an onsite designer and ultimate accessibility to products and materials. Specializing in clean, simple design solutions, designers Sandie Pope (Orcas) and Elizabeth Stretch (Seattle) together bring over thirty-five years of experience to their clients. Come take advantage of our Free Weights, Nautilis Machines, Group Fitness Classes, Racquetball Court, Precor Cardio, FreeMotion Functional Training Equipment, Indoor Heated Pool, Sauna, Whirlpool and much more. Island Excavating has been serving the San Juan Islands since 1970. We are extremely sensitive to our clients land needs, and take great care to preserve the natural vegetation and landscape. sland Excavating, Inc. mans and runs Dolphin Bay Quarry. Dolphin Bay Quarry is the top producer of rock products for Orcas Island. Our selection of high quality rock ranges for all sizes of crushed rock, to landscaping boulders and wall construction material. Currently we offer congregate dining and home-delivered meals on Tuesdays and Fridays, plus Meals on Wheels and frozen foods for the homebound on those days. We have foot care clinics, specialized transportation (Transportation/Trips), information and assistance to enable seniors to continue living in their own homes as long as possible (including information about local care-givers who have local references), a monthly blood pressure clinic (last Tuesdays, no reservations needed), hearing screenings by Western Hearing and Island Hearing Health (call Front Desk, 2677, to reserve), case management, loaner medical equipment, a caregiver support group, and monthly newsletters. Feather Your Nest, a unique service provider for a Vacation Rental By Owner and for new individuals contemplating the process of VRBO rentals. We also serve Private Home Owners, and Commercial properties. We offer assistance 24/7. Our staff is experienced in the details required for maintaining your property. Employees are licensed, bonded & insured providing Peace of Mind. For all your electrical needs: residential, commercial & networking. Also providing electromagnetic field testing & correction. Based on Orcas Island in the beautiful San Juan Islands, ASTech Professionals is a communications and environmental design firm. Our goal is to provide high impact technical and marketing communications and environmentally friendly, low impact designs. 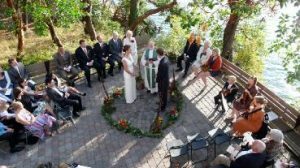 For over fifteen years, Steve Horn has photographed weddings throughout the San Juan Islands. His fresh and spontaneous approach captures the spirit of celebrations, in color and black & white. Steve also specializes in outdoor portraits using natural settings. His first book of documentary photography has recently been published. Fully equipped Pilates studio offering Gyrotonic exercise classes, scheduled group mat and tower classes, plus private & semi-private apparatus sessions by appointment. Since 1966, San Juan Sanitation has offered refuse and recycling collection services to the San Juan Islands. Call us today for a free consultation. Our goal is to make your vehicle as beautifull as the Island we are so fortunate to live on. Our services include: Professional Body and Paint Repair, Custom Painting, Complete Auto Glass Repair and Replacement service, and Insurance claims assistance available. From the smallest windshield chip to a complete restoration we can make your visions come true. (Unable to accept debit and credit cards at this time). MayWaa Designs is available to help you with your web design needs, whether you are looking to build a site from the ground up or would like to refine an existing site. We work with you to create a site styled to your specifications, utilizing the latest web technology and standards. We also offer copy editing and proofreading services upon request. Bathan Shaner, a Certified Arborist, has over 15 years in the excavation & tree industry. He believes while working with the land it is important to move-in and out with as little disturbance as possible. He has done all aspects of excavation & tree work, and is said to have quite the eye. Bathan has many certifications, and is dedicated to continue learning to better serve his clients. His business has been built primarily by referrals, for his expertise, and his company's sincere dedication. Shaner Excavation & Tree Service LLC has a team that is dedicated to providing excellent service. Hassle free pick up and delivery from Bellingham, Mt. Vernon/Burlington area, all the way to Seattle. Regularly schedule route from Orcas to the mainland every Monday, Tuesday and Thursday, with delivery to Orcas the following day. Call 360-376-2303 or email orcasfreight@rockisland.com. Our mission at Frontline Call Center is to provide efficient, cost effective outsource solutions to businesses 24 hours a day. We aim to provide our clients with real solutions to help them adapt to the rapidly changing environment of the technology industry. Our primary services include technical support, scheduling/reservations, customer relationship management, and product order processing and small volume fulfillment. We also offer a host of specialty services to cater to the unique needs of our clients. Our agents go the extra mile to make sure your clients are 100% satisfied. I am a licensed independent agent here to offer free objective advice, no strings attached. Independent agents have the ability to tap into resources and expertise of multiple insurance companies to find the policy that meets your personal risk and needs. Please allow me to offer my experience, years of island connections and community service to bring the value you deserve. Orcas Christian School is located on a beautiful nine acre campus near Eastsound and offers an exceptional and multi-accredited Christian education for students in grades 1-12. Offering boat repair and specializing in electronics and electrical installations. We are a full service plumbing company from new construction, remodeling work and full service work for any plumbing needs. We also offer 24 hour, 7 days a week emergency service. We also offer a 10% discount to seniors. Please leave a message and we will call you back. Coldspring Pumps has been serving all of San Juan County's water needs since 1980. We are a full service company offering the complete array of water system services, from well drilling and testing to system design, installation and maintenance. We specialize in "tank-less" pressure systems, low maintenance filtration systems, rain catchment and other alternative water supplies. No job is too small or too big. Give us a call or drop us an email. Susan is a visual artist working in printmaking, painting, & photography. Her art can be viewed at Orcas Island Artworks. Portfolio by appointment. 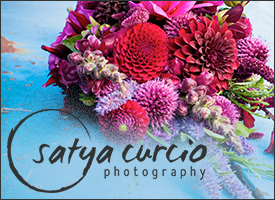 For Women's Intensive Art Workshops & Retreats, or island photography including elopements & small weddings. Happy Hardwood LLC is a long established full-on construction company. Experts in hardwood floors, installation, and refinishing. - Licensed and Bonded. -HUGE reference list!!!! Studio Mierau provides the highest quality of hair care and aesthetic services. Specializing in hair design, tanning, personalized styling, & make-up consultation, we have created a haven for your personalized care. The local kennel and animal shelter. Provides short term care for pets as well as veterinary treatments, manicures, and local animal rescue. New Horizons Painting is a professional painting business serving Eastsound, WA and the surrounding area. Since 1977 we have been offering fine paint finishes at a competitive cost. We also offer exterior cleaning services to keep your property looking brand new and free of debris. Fine quality furniture and cabinetry, designed and built to last! Printonyx is your one-stop shop for copying, faxing, scanning and more. We're your helpful island communication center. From copies to banners, we're ready to help you in person, over the phone, by e-mail or on-line. If we can't help you, we'll let you know who can. With over 188 units available, Island Storage is your best bet for your storage needs on Orcas Island. We have over 10 different storage unit sizes to choose from: 5'x5' to 14'x28', and offer a climate-controlled atmosphere in many of them. Give us a call or email us and let one of our friendly staff help you with all of your storage needs. We are conveniently located near the airport in Eastsound, Washington. Providing storage needs for Orcas Island, one of the San Juan Islands. Oregano Productions provides graphic design, web design, and illustration services. Everything from logos, business cards, fliers, websites, to illustration. Please see our site for examples of work. Beery Elsner & Hammond, LLP, is a Martindale-Hubbell AV-rated law firm dedicated to the provision of high quality legal services to its local government clients. The firm limits its representation to public bodies in Oregon and Washington and has developed a solid reputation and unparalleled foundation in local government law. Rain Shadow Consulting specializes in ecological forestry and habitat restoration. We handle all timber harvesting permits, produce County and State compliant Forest Management Plans, and conduct small scale forest thinning projects. Our specialty is the restoration of rare habitats such as Gary oak woodlands and savannas in San Juan County. 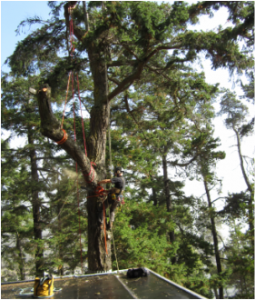 We have a certified arborist on staff and conduct all manner of technical tree trimming and removal. Let me create some gorgeous images for you, your business or nonprofit. Custom home building and renovations by Orcas Island's own Con Russell with over 30 years of experience. 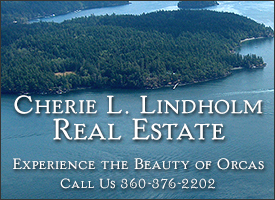 Contact us to build your dream home on beatiful Orcas Island. The Orcas Island Airport; hosting services such as local flights, biplane rides, FEDEX, and Aeronautical Services, Inc. Custom software development for all types and sizes of businesses and organizations. "Don't let your system constrain your vision. Let your vision define your system." Hours: Tuesday - Saturday and Evenings. Call for special occasion appointments. Celtic Beauty is a full service hair salon that caters to men, women, and children. Experienced hairdresser and make-up artist, Carol Whitbeck, is well-known on the island for her work on theater productions and special occasions. With Carol's 25 years of experience, she is a professional that you can trust for all your wedding day hair and make-up needs. Visit her salon in Eastsound Village and enjoy the shamrocks and faeries in the enchanting Irish theme and décor of Celtic Beauty. 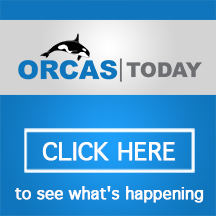 Orcas Sewage Design has been designing onsite wastewater treatment systems since 1980. We serve homes on Orcas Island and greater San Juan County as well as Island, Whatcom and Skagit counties. If you need an inspection or maintenance of an existing system, our trained technicians will perform your service cheerfully and promptly. We'll provide you with a report of what we found and explain any repairs needed. If you're planning a new home and need an onsite septic system, septic designer Rick Petro will listen to your needs, personally assess your property and create a unique design that fits your goals. VanderYacht Propane is family owned and operated. We pride ourselves in taking care of our customers. Call us for competitive rates and friendly service. We offer residential and commercial propane delivery, tank installation and full propane service. Full Service AAA Approved Auto/Light Truck Maintenance & Repair by ASE Certified Technicians. 24 HourTowing, Recovery, Lockouts,Tire Changes, & Jump Starts by Professionally Trained & Certified operators. 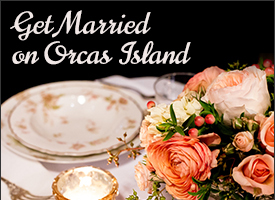 Serving Beautiful Orcas Island since 1990. Welcome to Mark Padbury's official woodworking portfolio. After more than 40 years of woodworking I have compiled a website to showcase my work and to use as a business tool for future projects. Whether you're an old pal from Bequia, a fellow wood worker from the Bay area, or a potential client in the San Juan Islands, I invite you to look through my projects past and present and don't hesitate to shoot me an e-mail if you have any questions. I look forward to hearing from you all and enjoy! Orcas Net has earned a position on the internet frontier, but its roots go back to the earliest days of computer technology. Our mission is to create software applications that WORK. Simply put, our goal is to produce solutions that increase productivity while reducing costs. Austen Ater, certified Arborist, is dedicated to the highest standards in tree service, safety, and customer satisfaction. He is an accomplished climber, able to approach any situation with technical precision to efficiently accomplish the goal. He personally performs each job, ensuring the desired outcome. Located on Orcas island, we serve all of the San Juan islands. Services include: fine pruning, tree removals, chipping, and stump grinding. The historic DHCC building was built in 1905 and served as the Deer Harbor schoolhouse until 1925. It now serves as the home of the community club and is listed in the Washington Heritage Register. It is available for weddings or other events, such as community or religious gatherings, classes and workshops, concerts, dances, club meetings, and family reunions. A full kitchen, ample parking, and other amenities are included. DHCC preserves and maintains the historic Deer Harbor schoolhouse building for emergency shelter, a depository for memorabilia, and a place to gather. The next time you are accepting or making an offer on Real Estate in the San Juan Islands insert our name in the Purchase & Sale Agreement, or request us by name to your lender and let us put our years of knowledge and experience to work for you. The Buck $tays Here! We are proud to be your local bank. Our people take great pride in providing financial products & services with a personal touch. Contact us for septic tank pumping, portable toilet rentals and waste water inspections. Full-service bookkeepers for Individuals, Non-Profits & Small Business. An authorized retailer of both Dish Network Satellite, and Directv. Sales, service, and installation. Providing local service in the San Juan Islands since 1987. Licensed, bonded and insured telecom contractor. For over 30 years, Dalgarno Construction has built an excellent reputation based on high quality construction and client satisfaction. To ensure the homebuilding experience exceeds your expectations, we emphasize three important factors: Quality Craftsmanship, Attention to Detail, and Personal Customer Service. Dalgarno Construction is nationally recognized for its ability to take projects to an outstanding level of quality through the hard work and creative vision of our team. Founded by local activists in the Spring of 1999, The Funhouse Commons is a not-for-profit community center that fosters fun and learning with dozens of hands-on kid-friendly science exhibits, a computer lab, complete audio and video production studios, a library of educational films and documentaries, facilities for classes and meetings, clubs, and much, much more. The Exchange was created in 1984 by visionary community activists on Orcas Island who wanted to Reduce, Reuse and Recycle® before these terms existed. Since then, The Exchange® an entirely volunteer driven organization - has redirected and redistributed literally thousands of tons of material into the community that would have otherwise ended up in the large and unsustainable landfills of the Western United States. Supplying all sizes of crushed rock and landscaping rock. Aeronautical Services, Inc. is the San Juan Islands' agent for UPS. We ship and deliver UPS package freight on Lopez, Orcas and San Juan Islands. Call me to help you with any of your CPA needs! Full-service, touch-free automatic car wash. 2 self-service bays. Vacuums. Environmentally friendly. Open 24 hours a day. I have worked for professional theatres, clothing designers, interior designers and architects, enabling me to develop a wide range of skills. From freshening your home with new slipcovers, pillows and window treatments, to creating your dream wedding gown and hemming your jeans, I can help you with your custom sewing needs. Steaming and pressing services are available as well as sewing lessons. Please call or email me for a consultation! Quality Care Since 1975. Artistic view trimming; low impact forest enhancement; safety and preservation oriented. Consultations. Fitness Quest NW is a premier personal training and group fitness facility on Orcas Island. "We are not your average gym!" At Fitness Quest NW we are dedicated to improving your health and fitness through our commitment to functional quality movement. Our process of using traditional and unconventional training methods guarantees you get the workout you need in a three-dimensional format, the way your body is meant to move. Resistance bands, body weight, suspension straps, Kettlebells, Tabata. These are just some of the modalities we use at FQNW to increase your flexibility, strength, mobility, and cardio vascular health. At FQNW our motto is "Malama Kou Kino" (take care of your health), and that is how we train! Stop by and check us out, you'll be glad you did! Contact me for any of your business needs. Services range from simply providing payroll numbers and filing quarterly taxes, to all aspects of bookkeeping including basic banking, daily mail pickup, accounts payable and receivable, account reconciliation, sales/B&O taxes, and payroll and payroll taxes. The objective of the Orcas Power and Light Cooperative is to serve San Juan County by providing electrical utility service that is efficient, economical and adequate for our members. Proudly serving happy clients for 15 years with artful and technical skill, professional integrity, and commitment to the complete health of our world. Whether designing, installing or organically maintaining your garden, it is our mission to delight you with our results. Combining familiarity with the island's climate, thorough knowledge of soil and plant biology, and passion for good design, we are excited to help every garden be at its absolute best. At Sircely Marketing & Design, we want your business to succeed. We bring smart strategies, fresh concepts and thoughtful design to small businesses, solopreneurs and nonprofits. Turn to Mary Ann Sircely, owner and creative director, for all types of print and promotional materials, web site design and development, SEO and social media marketing. Our mission: To provide the highest level of protection to life and property, and promote community safety through the extension of fire prevention, fire suppression, medical rescue and public education services, consistent with the prudent utilization of public funds. Family owned business providing custom made small buildings for all of your outdoor needs. Rent to Own options available. Can easily be finished out to create beautiful office spaces, home yoga studios, farm stands, tiny homes, etc. Visit our location in Eastsound, or come see the shop in Burlington. We look forward to working with you! Romantic songs, violin music and fiddle tunes (upbeat and slow waltzes) with guitar accompaniment or solo violin. Sharon Abreu performs as a soloist, singing and accompanying herself on guitar or playing violin. Sharon Abreu and Michael Hurwicz perform songs in acoustic folk, pop and classical styles, with rich vocal harmonies, acoustic guitars, violin and bass. Classical piano accompanist also available to accompany solo voice repertoire. We offer Cable TV and High Speed Broadband Internet for an affordable monthly rate, no contracts. Our areas of service are Lummi Island and Orcas Island, Washington State. 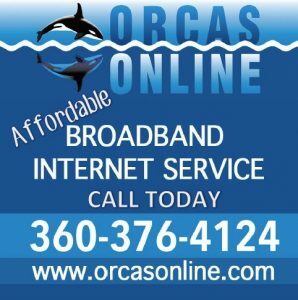 Please contact us to see if our cable and internet service is available at your location on Lummi or Orcas Island. Island Satellite & Internet provides DISH NETWORK and EXEDE broadband Internet services in the San Juan County Area. 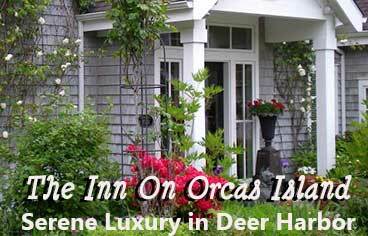 We have been serving Orcas Island since 1997. We specialize in providing business class technology solutions ranging from server design and implementation, design and placement of networked computers for business critical applications and design and build data and voice networks using latest technologies. We also provide expert and cost effective scheduled or unscheduled computer hardware maintenance for your business and home needs. SAFE San Juans (formerly DVSAS) is a non-profit agency serving the residents and visitors of San Juan County. Our mission is the prevention and elimination of domestic violence and sexual assault through victim services, education, community awareness and cultural and social change. Otis Land Use Consulting is a private consulting firm providing expert advice on all land use planning related matters. Services include assisting clients in securing required land use permits from local jurisdictions and state and federal agencies, including preparing feasibility studies, addressing complex code interpretations, critical areas analysis, code amendments, zoning redesignations, shoreline permits, vacation rentals, subdivisions, stormwater applications, and preparation of building permit applications. We handle all phases of permit processing from initial consultation to preparation of permits and applications, public notices, coordination with affected agencies and subcontractors, and participation in any required public hearings. Jeff Otis has over 30 years of experience in land use planning as a consultant and with various local jurisdictions, including 12 years as a Senior Planner with San Juan County. A place for someone who enjoys passing on a thoughtful or funny comment on the news and views on our island that resonates with them or changes their way of looking at the world. Someone who could use a little help, be it information, advocacy or "sweat assistance;" someone who thinks a neighbor deserves recognition; someone who's getting together a meeting of minds about an issue; anyone who wants to make public their news and views about Orcas Island. Serving the island residents for over 20 years. We would be glad to assist you with auto, home, boat, and yacht. Business, Life and Health coverages. Permit Resources provides a full range of services from consultation to getting your project off the ground: feasibility studies, application preparation, submittal and follow-through. We facilitate permits for buildings, subdivisions, vacation rentals, shoreline issues, boundary modifications and forest practice. You'll benefit from our long-time relationships with architects, surveyors, contractors and county personnel. The Woodsmen is a Tree Care and Native Landscaping company on Orcas Island. We offer native landscaping including pre-construction consulting, design and installation, rockwalls, patio pavers, water features, and ongoing maintenance. Our tree work services include tree care, view enhancement, limb removal, and chipping. We also offer property management services including caretaking, maintenance and fire safety brush removal. The Woodsmen is owned and operated by Monty Coffey, licensed and bonded. Monty has been an island resident for over 20 years and has been running his business for the last 15. Sizes from 5 x 10 to 10 x 30, every day access, concrete floor, individual roll up doors, lighted inside & out, fenced & electronic gate with individual code, normal gate hours 7am to 10pm, clean & well maintained, resident on-site manager/owner for added security. Specializing in creative, responsible design that is uniquely suited to modern island living. We believe that building in the islands requires a sensitivity to local resources, local materials, and our island microclimate. Good design matters. Homes for Islanders (HFI) is a 501(c)(3) non-profit corporation funded by the U.S. Department of Agriculture (through Rural Development) to assist limited income families interested in building their own homes. HFI works closely with you through the entire process of building your home, from assistance in applying for the Rural Housing loan to construction budgeting and instructions and supervision during every phase of the construction process. Our services are free to our clients. OrcasDigerati.com offers web design and other information system services. Chief Engineer Martin Taylor has been in digital system design for over 25 years. We offer a wide range of services to implement your application. If you need a new or upgraded web presence, a web application, a digital information system, networked monitoring or control system, custom software, digital design or image services we can help you focus your vision and implement an effective solution. We work with businesses, nonprofits and individuals. Providing all of your excavating needs. Site preps, underground utilities, road building, ponds, waterscapes, etc. 28 yrs experience on Orcas Island. 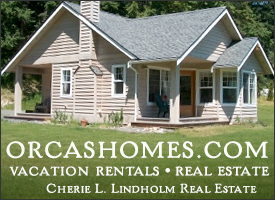 Your one-stop residential and commercial equipment rental & service store on Orcas Island! Washington Federal has been serving their friends and neighbors on Orcas Island since 1974. We offer personal checking and savings accounts as well as real estate loans. We are also now meeting the needs of businesses on Orcas Island by offering business checking and savings accounts as well as business loans and lines of credit. Stop by and let us help you with all your banking needs! Licensed business specializing in grant-writing, newsletters, research, publicity, website design & personal histories. Extensive portfolio of publications, grant awards, websites, journalism awards & references. Visit orcasissues.com. We specialize in scheduled flights between Bellingham and the San Juan Islands. We also offer scenic tours, charter flights, hotel packages and more! Visit our website at www.sanjuanairlines.com or pick up one of our courtesy telephones in the Friday Harbor or Eastsound terminals. Full Service Excavations, Site Preps, Septic System Installations, Land Clearing, Utilities & Roads, Ponds & Water Features, Septic Tank Pumping, Portable Toilets. Your local Post Office. We also have locations in Orcas, Olga, and Deer Harbor. Complete auto, truck, marine, farm, industrial parts and accessories. Full service banking and investing with excellent customer service. Hours: Drive-up window 9:00-5:00; Lobby 9:30-5:00; ATM 24 hours. Safe Deposit boxes and night deposits available. Custom made Roman Shades, Draperies, Bedding and Pillows. In home design consultation. Community Newspaper serving the 18,000 residents in the San Juan Islands. Locally owned.